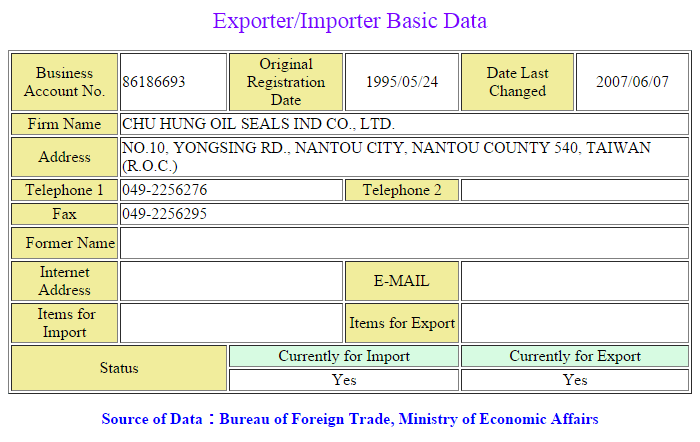 Chu Hung Oil Seals Ind Co., LTD,found in 1988 by Mr. Sheng-Huang Wang, is a master designer, manufacturer and supplier of rotary shaft seals and other sealing products for OEM’s and aftermarkets alike serving both automotive and industrial customers worldwide. As one of the world’s leading suppliers of seals in Taiwan, our products are globally distributed where 70% and 30% of seals is for the aftermarket and OEM’s respectively. 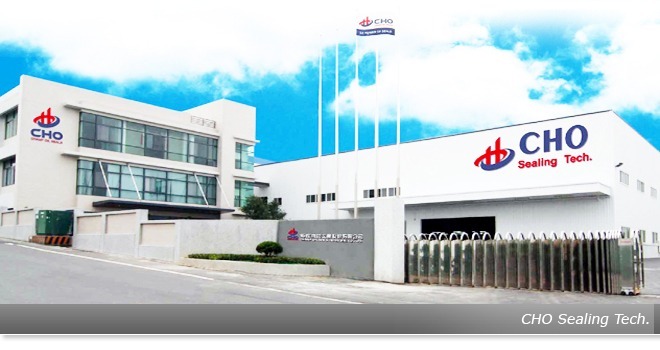 CHO has experienced the stunning success by growing fast with 20% during the past five years, which is based on the continuous imporvement of capability of reaching customers’ demands in terms of the quality of products and service. Our current markets mainly distribute in Europe and USA, which products range from Cassette seals, PTFE, standard seals and comprehensive types of rubber sealing parts. Customed seals can be designed according to clients’ demands and applications. Quality is always the most important factor when manufacturing. While CHO is an ISO 9001, TS 16949 and TS 14001 Certified manufacturer, we are also rewarded the distinct reputation of being a quality oriented exporter. -Steady- CHO seal technology provides the inspection report from all process to meet customer’s quality requirement. SPC tools we use to maintain the stability of quality. -Strict- CHO seal technology control every process by IQC,IPQC,OQC and the finished product QA report to get the superior products for customet. -Superior- We focus on product innovation, including special product improvement and product development; Raw materials innovation, focusing on the development of more quality and better impact of raw materials; And the process of innovation to reduce production costs and increase production and profits. Chu Hung Oil Seal Industrial Co., Ltd. is a professional manufacturer of oil seals.Environmental Protection is Chu Hung Oil Seal as citizens of the world's major responsibility and commitment,To protect the global environment, fulfilling the social responsibility of business,Chu Hung Oil Seal commit to all its employees、customers and the community Each management and operation are reliable、consistent way of environmental protection, By ISO-14001 environmental management system and implementation of import, improve environmental management performance and continuous improvement. We are committed to: 1. Strengthen pollution prevention, continuous improvement, efficient use of energy resources to reduce environmental pollution. 2. Suppliers, contractors, stakeholders who shall convey the company's environmental policy, and work together to protect the environment. 3. Made of the environmental policy documentation, open to the public. 4. Compliance with government environmental regulations and related requirements, is committed to pollution prevention and continuous improvement. 5. Environmental protection is a shared responsibility of all staff, and continuing to teach staff environment policy concept. 6. Efficient use of energy resources, implementing energy conservation and waste classification, implementation of waste reduction and resource recycling and reuse.